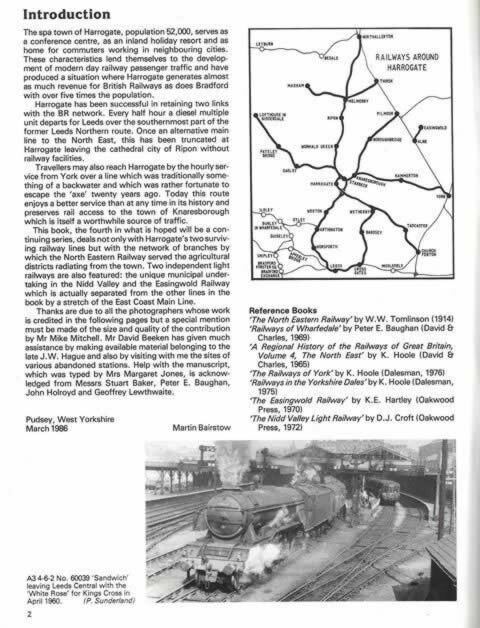 Railways Around Harrogate - Volume One. 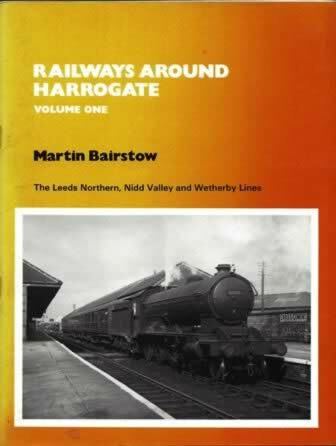 This book contains images from The Leeds Northern, Nidd Valley and Wetherby Lines. This book was written and produced by Martin Barstow. Although this is new, this book has received some slight water damage to the side of the pages but all pages are complete and this does not affect the pictures and words in the book. A scanned image of the front cover is shown for your information and if you click on this a scan of the introduction page from the book will be displayed.